All true images are born from within, manifesting their form to one who is open to receiving it. It calls for a deep connection to one’s inner life as well as to the world. When what is within and without come together an image is born that acts as a guide both to the artist as well as the viewer. Rumi states, “Let the beauty we love be what we do. There are hundreds of ways to kneel and kiss the ground.” Image gives a voice and form to one’s inner experience and becomes the “equivalent” to this experience.This equivalent speaks of how one sees the world and transforms it into a soul image. This personal self discovery carries within it an experience felt by “everyman”. The photographer, Alfred Stieglitz, created a series of photographs of clouds titled, “The Equivalents”. This title speaks of image- the clouds, with their symbolic patterning across an abyss of sky, touch a deeper part of ourselves. The images need no explanation. They are transformative because Stieglitz presents us with not just the objective form of the cloud but how he felt about it. They bring to the foreground those things that are on the very edge of consciousness. When the image is whole it calls forth an assent from the artist as well as the viewer. This assent obliges the artist to “service” this image and bring it forth into the world to the best of his ability. Even if his ability to craft the image well is flawed the image if attended to will supply the means for its expression. 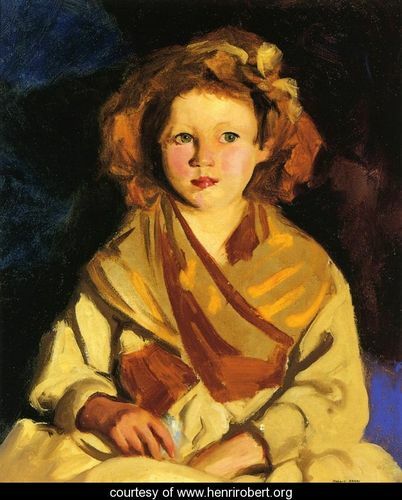 Robert Henri firmly believed that once the image presented itself, the inventiveness of the artist would find the means or the technique necessary for its expression. The artist is the one who discovers and crafts the image not only with inventiveness and skill but with love and devotion.